We’ve all had bad days at work, but most of us can just soldier through and move on. 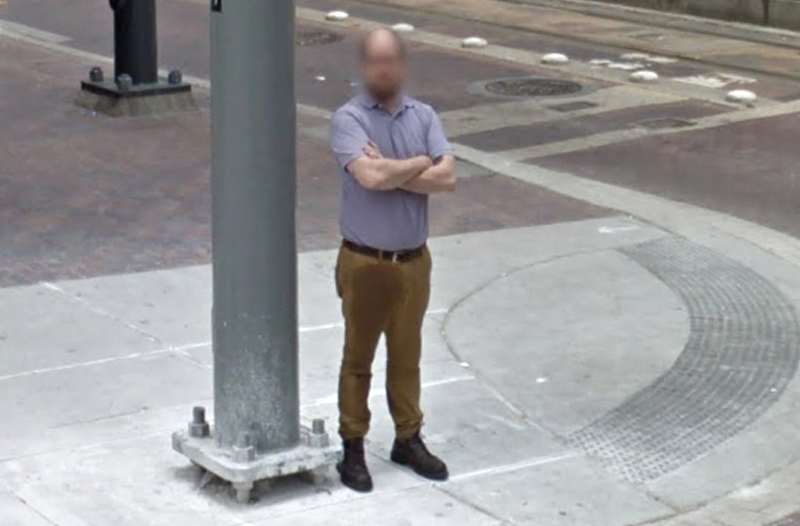 Unfortunately for Joshua Justice, Google Street View will never let him forget one particularly terrible shift. Two months ago, Justice was working at Houston’s Flying Saucer Draught Emporium when he spilled “half a cleaning keg” on his pants. From there, it only got worse. On Tuesday, Justice discovered that Google had recently updated Street View. Just as he predicted, him and his seemingly pissy pants were there for the whole world to see. Of course, it’s possible Justice really did wet himself and concocted the elaborate tale to cover up the incident, but even if that’s true, hasn’t he suffered enough?